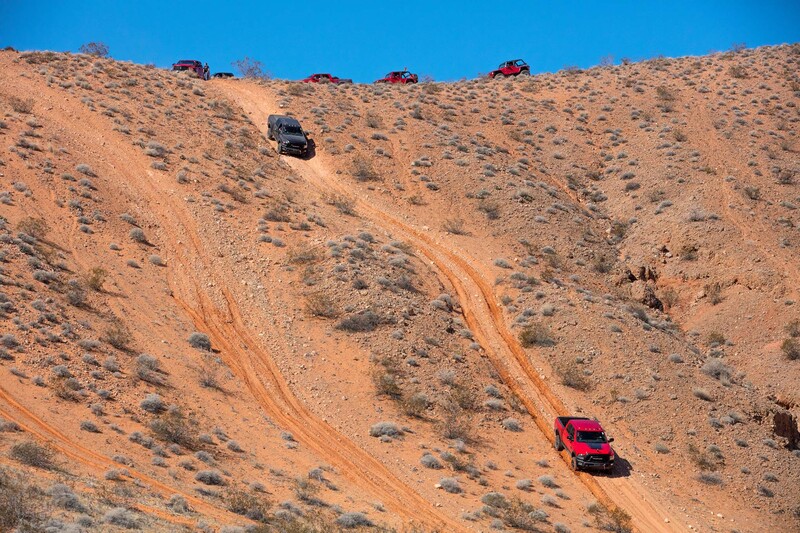 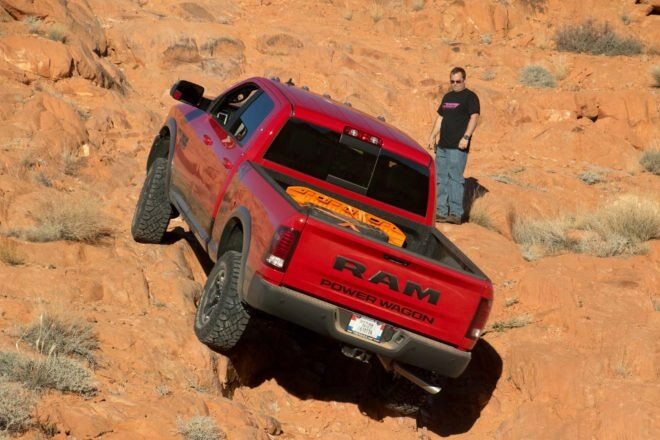 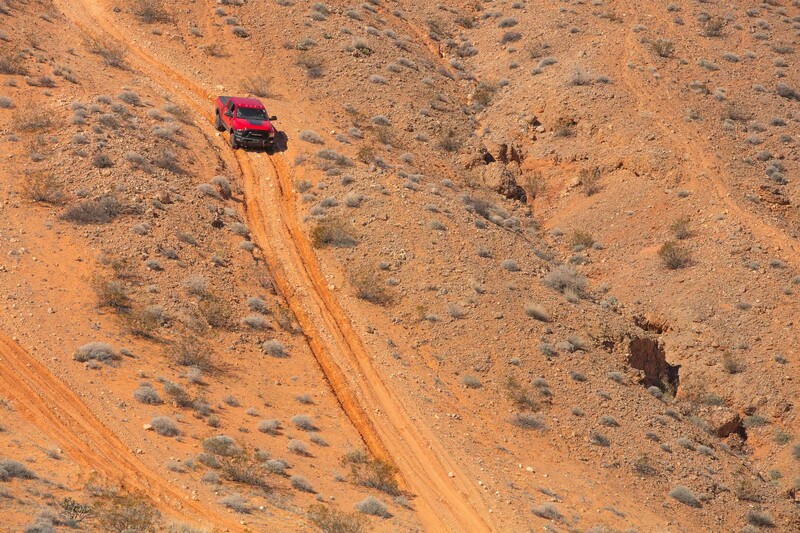 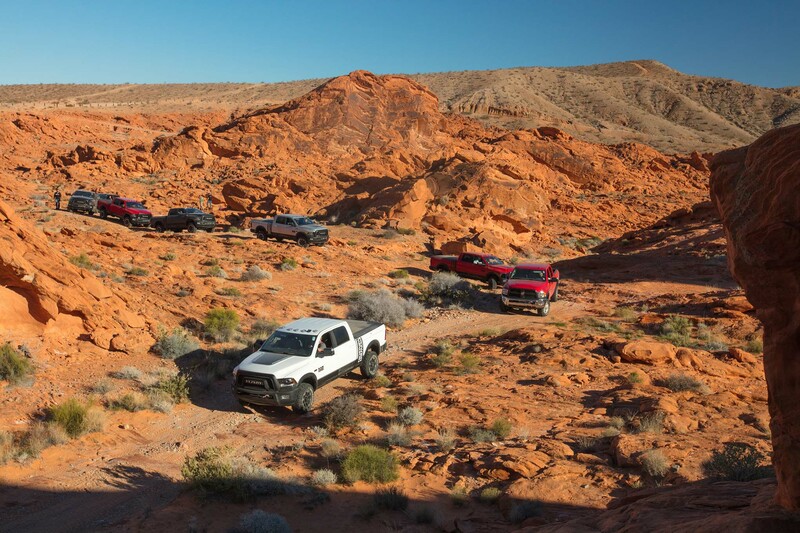 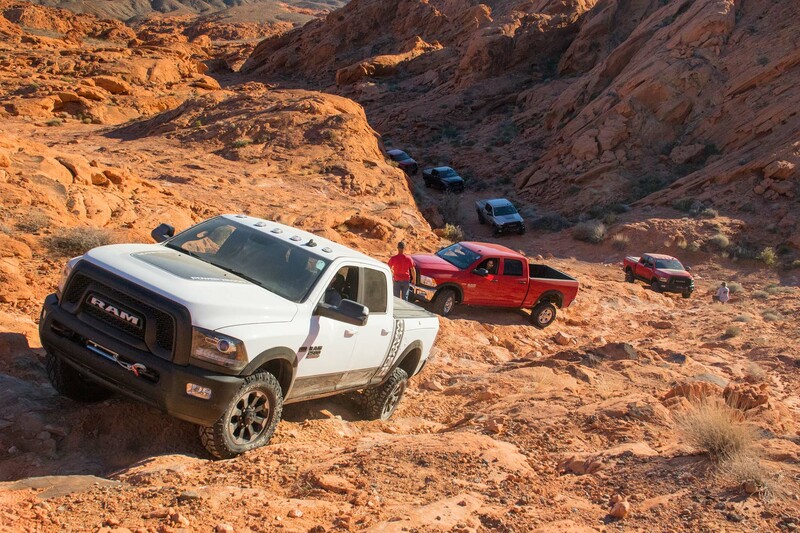 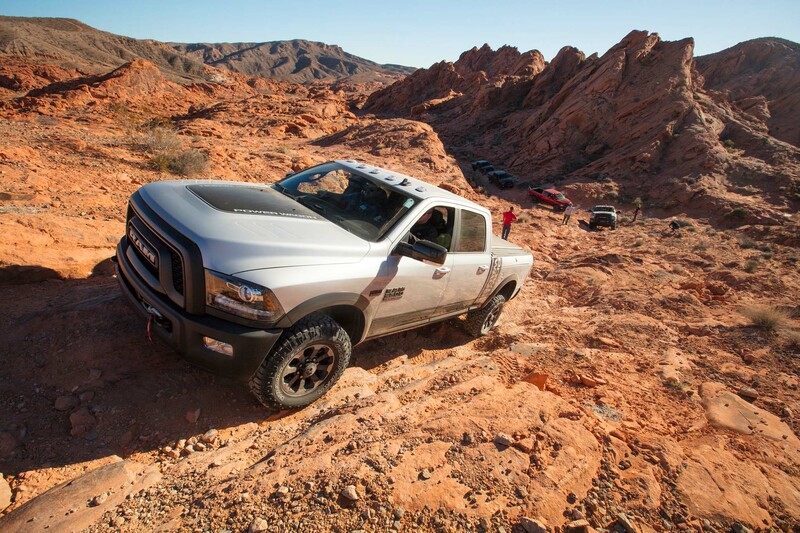 LAS VEGAS, Nevada — My brain kept telling itself “7,000-pound trucks shouldn’t be able to do that” as it witnessed yet another 2017 Ram Power Wagon scamper up a series of steep, rocky hillsides at Nevada’s Valley of Fire State Park with the poise and confidence of a (very fat) mountain goat. Were this most any other truck, my brain would have been right: 20-foot-long, full-size trucks that weigh as much as the Power Wagon should not, in fact, able to do that. 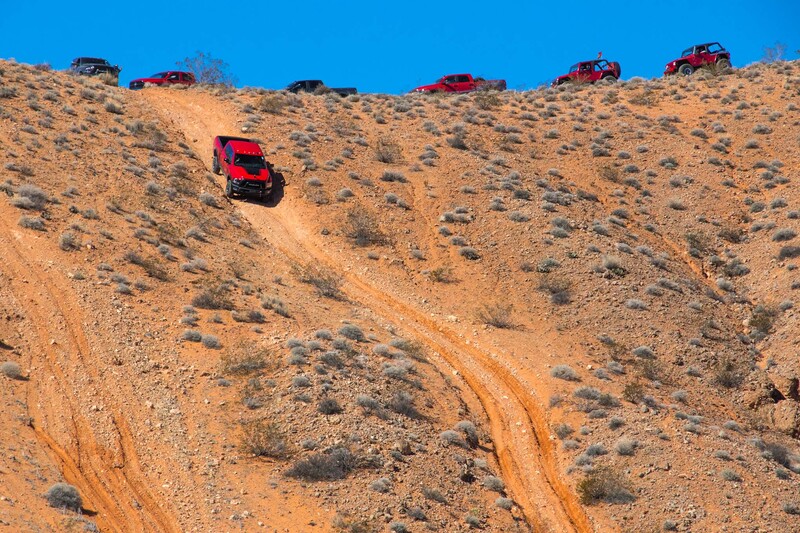 Especially with random automotive journalists behind the wheel, some of whom had never so much as seen a trail let alone wheeled up one before. 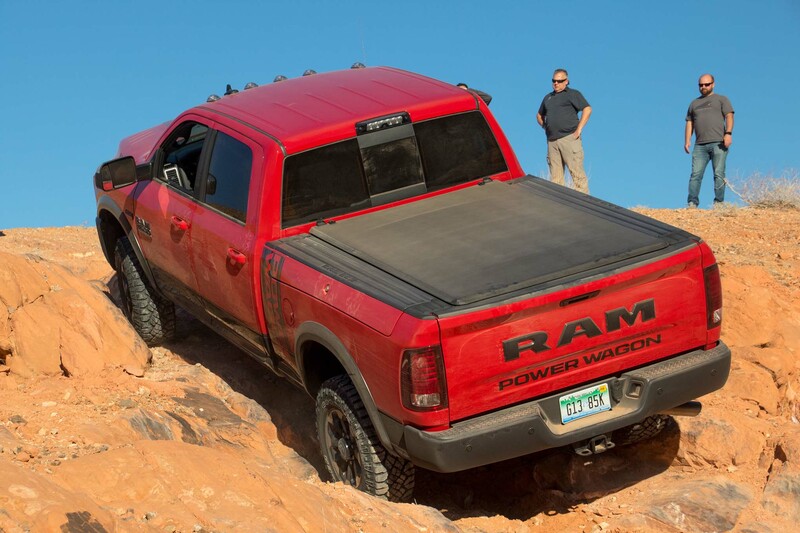 But the Ram 2500-based Power Wagon is far from most trucks, and every last one of them made it up the fairly challenging rock path unscathed. 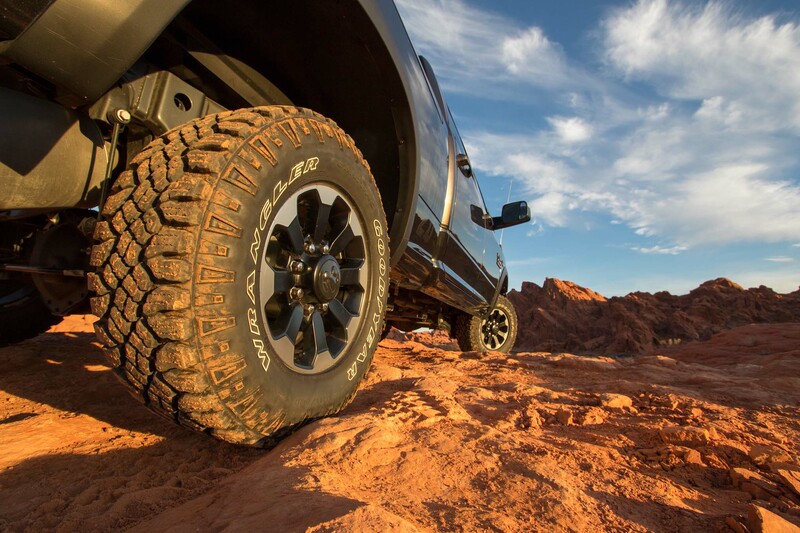 For starters, most trucks don’t come from the factory wearing 17-inch wheels with 33-inch Goodyear Wrangler Duratrac tires. 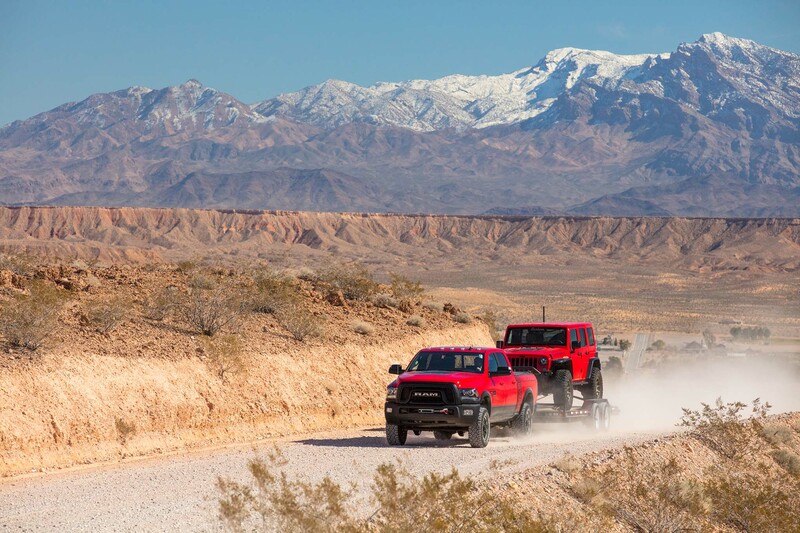 The Jeep fanatics over at our sister publication JP Magazine put more than 12,000 miles on a set and found the Duratracs to be great “for a daily-driven weekend warrior” — a description that fits the Power Wagon to a tee. 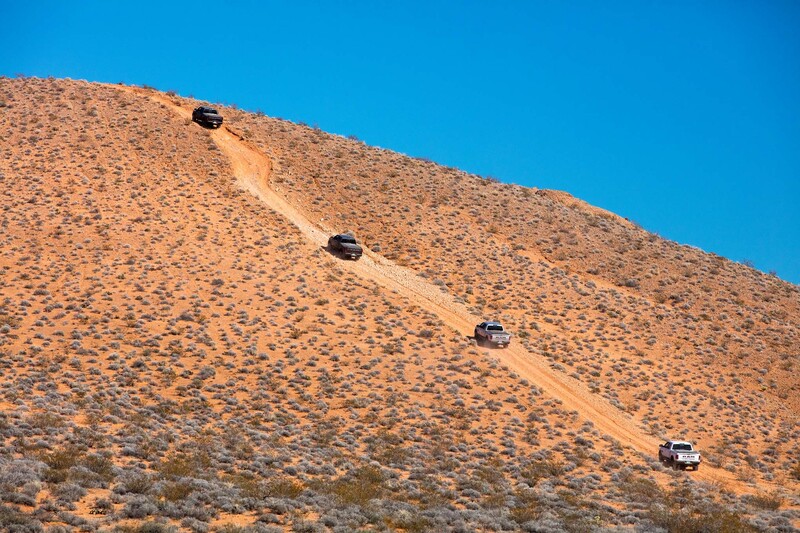 During our drive, traction issues only came up on a particularly soft and sandy uphill, where carrying enough speed going into the hill matters more than having the right tire. 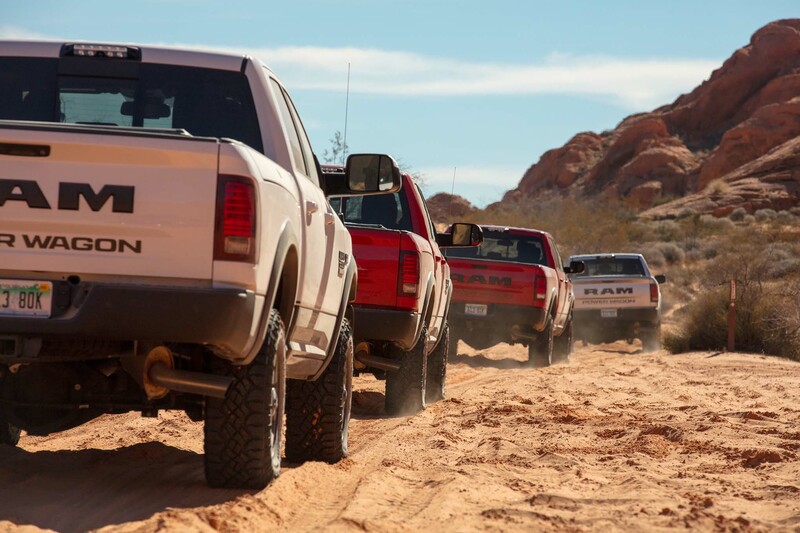 Road noise that can mistake your truck for an attacking German Stuka dive-bomber at freeway speeds is often a tradeoff one must make when adding capable off-road tires, but the Power Wagon’s Goodyears proved luxury car-quiet during our on-road drive. 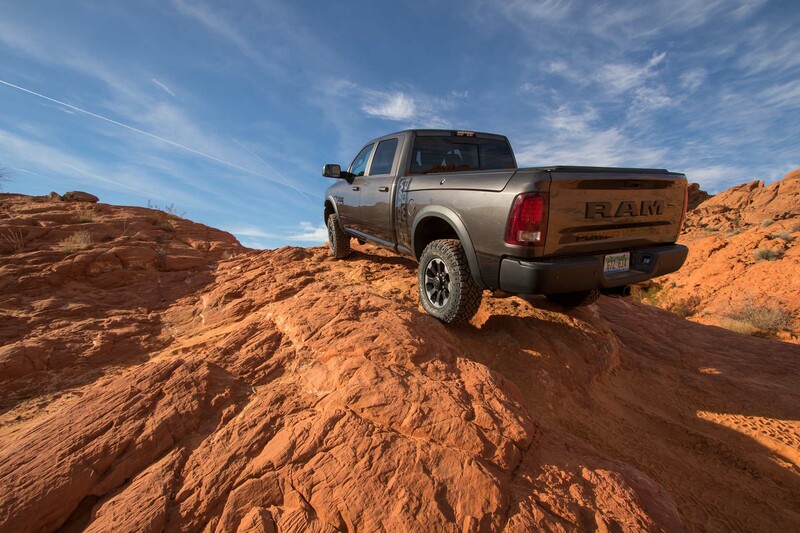 Ram left the regular 2500’s twin-piston 14.2-inch front and 14.1-inch rear brakes alone for the Power Wagon, but they’re about the only bit between the body and the ground that wasn’t updated in some form. 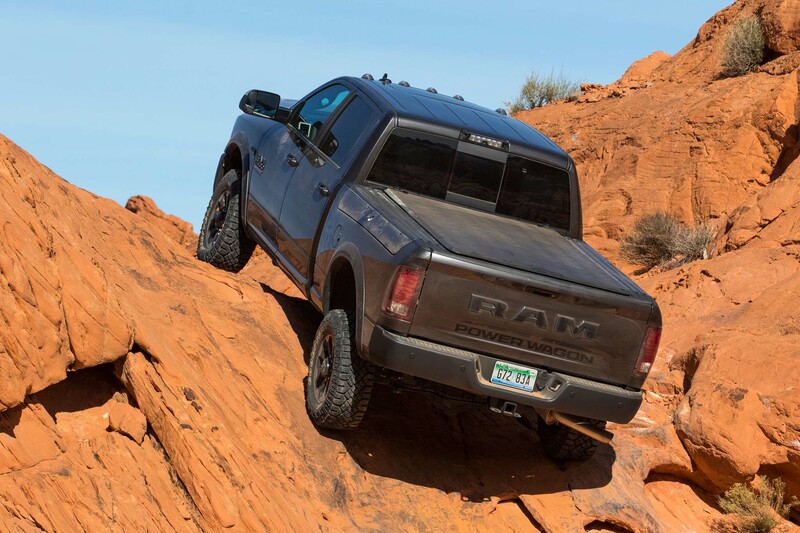 In place of the standard Ram’s solid front and rear anti-roll bars are electronically disconnecting units, dubbed the “Smart Bar,” that can be disconnected with the push of a button in 4HI and 4LO at speeds of up to 18 mph. 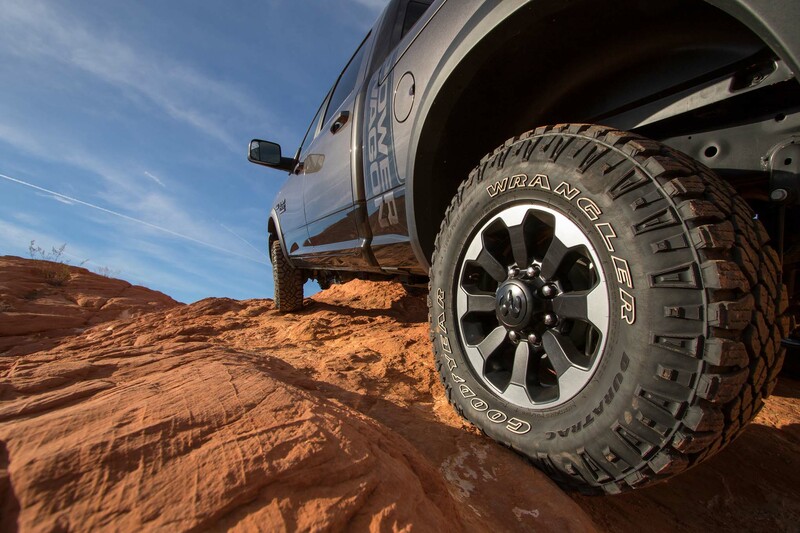 The Smart Bars provide the truck with extra articulation (up to 26 inches of it) while crawling off-road without sacrificing on-road stability. 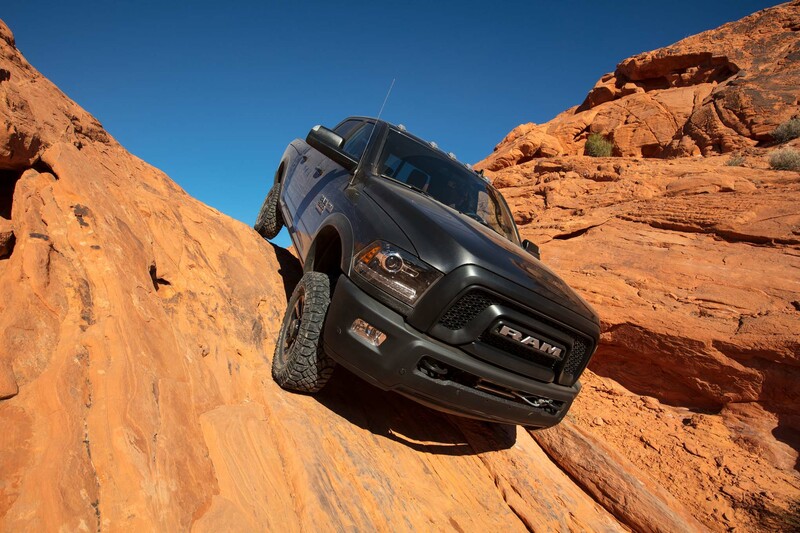 Also contributing to the Power Wagon’s articulation capabilities is Ram’s so-called “Articulink,” which is an extra bushing in the front control arm that gives the solid front axle the ability to twist more over uneven terrain. 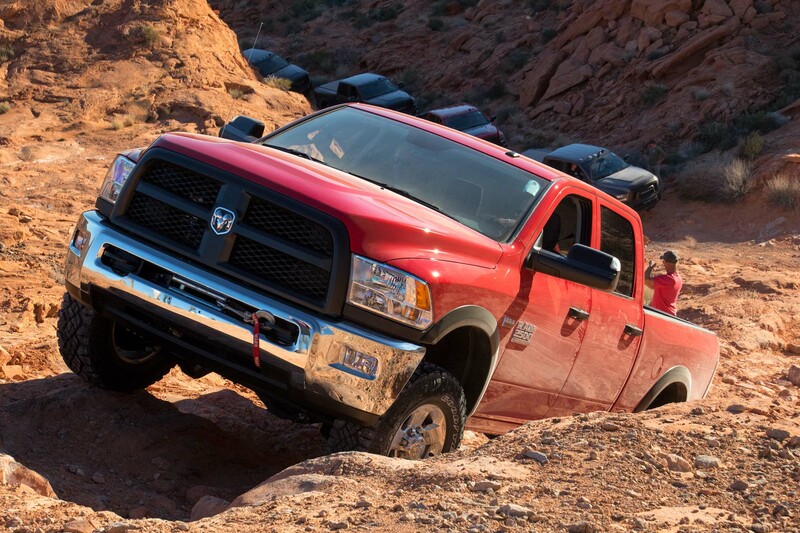 The Power Wagon keeps the standard 9.25-in front axle, but its rear axle, measuring 11.5-in, is an inch thicker. 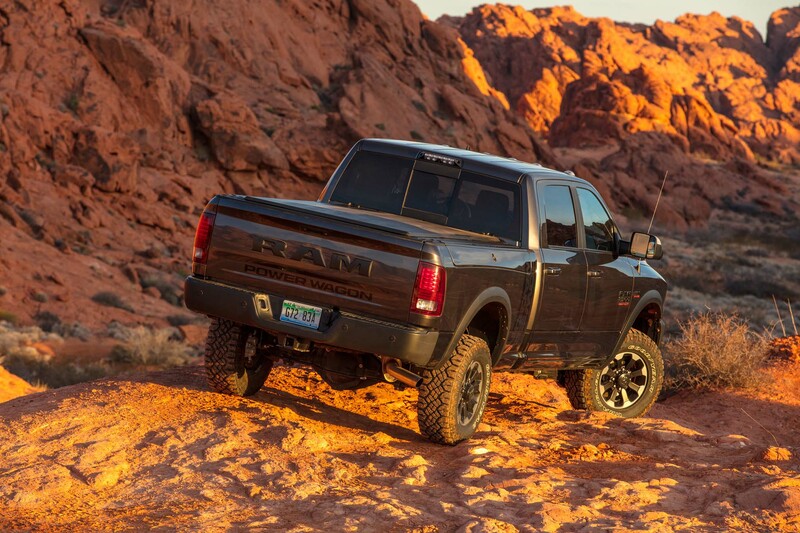 The rear also receives stronger rear axle shafts, which measure 38 millimeters in diameter. 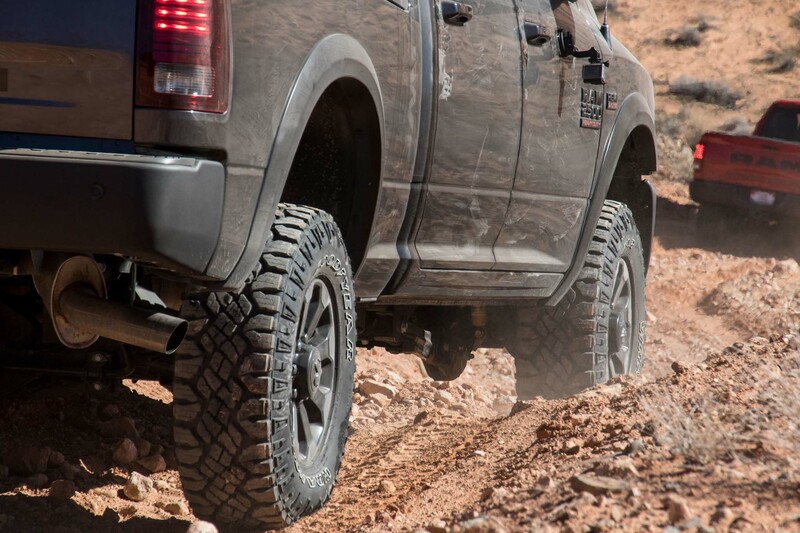 Keeping the axles attached to the Power Wagon’s body is a unique suspension consisting of a set of Bilstein shocks and revised coil springs that provide 2.3-inches of lift over stock. 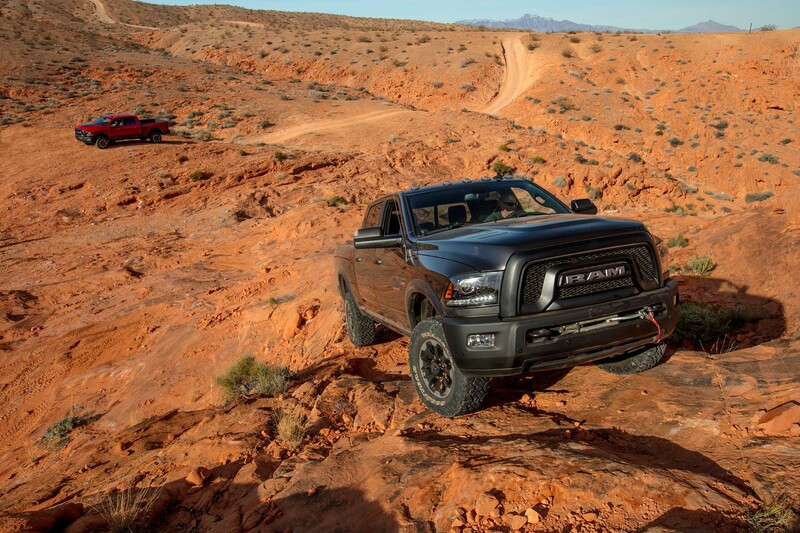 As a result, the Power Wagon boasts pretty impressive approach, departure, and breakover angles of 33.6, 26.2, and 23.5 degrees, respectively. The retention of the coil spring rear setup ensured that the Power Wagon kept the Ram’s smooth on-road behavior that all but eliminates freeway hop, but the extra demands on the suspension reduce the truck’s work ability to that of a light duty truck. 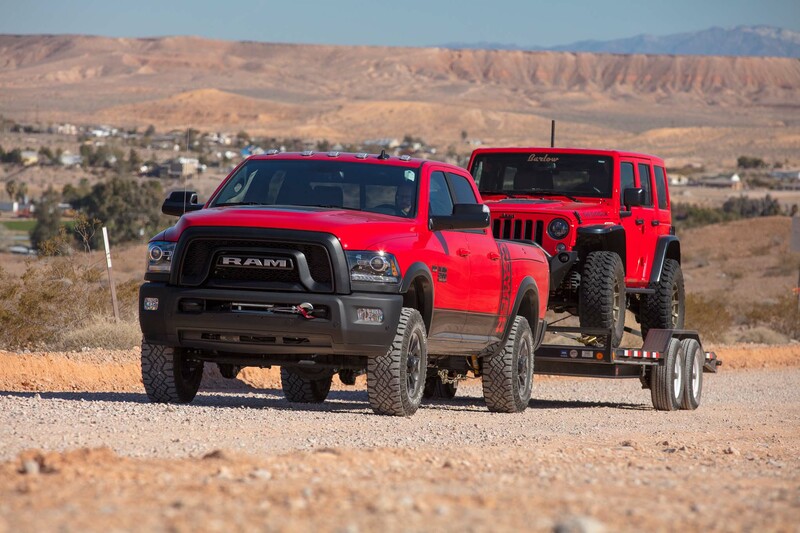 Maximum payload is limited to 1,510 pounds while towing capacity drops to 10,030 pounds — still more than plenty for a pair of dirt bikes in the bed and a toy hauler on the hitch. 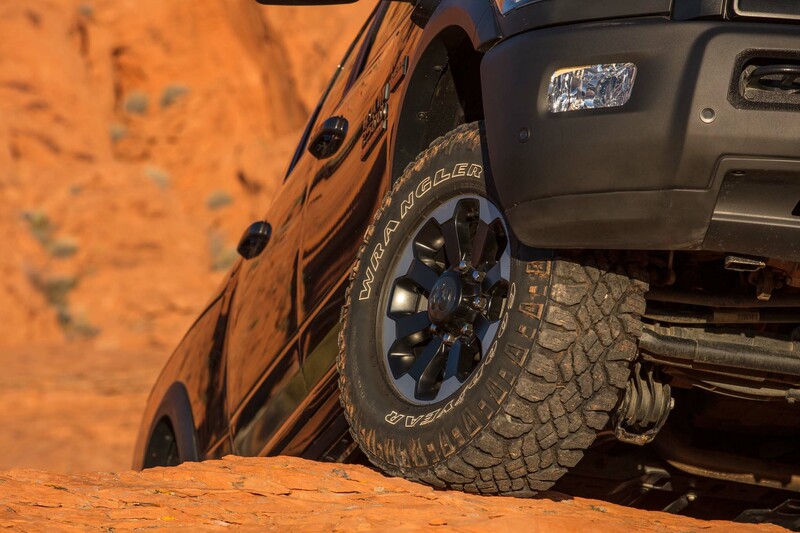 In the middle of each axle is an electronically locking differential, with the front locker an industry exclusive (at least until the launch of the Chevrolet Colorado ZR2). 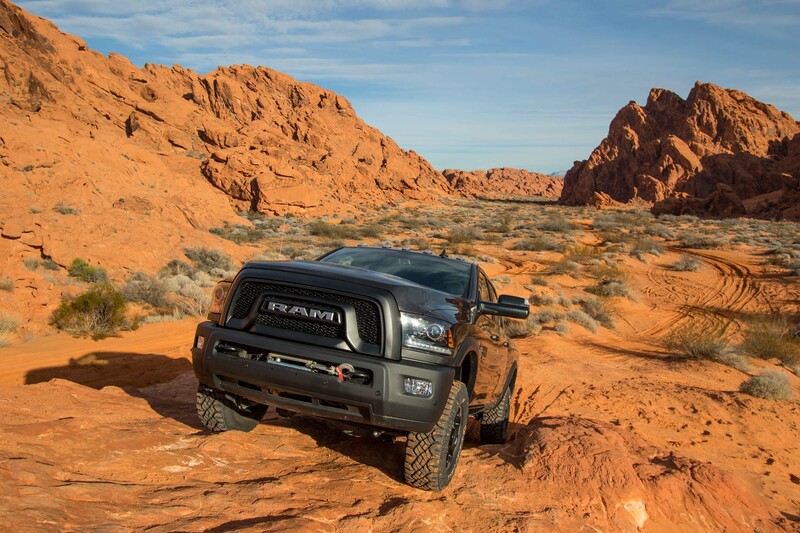 Without these lockers, which are operated with a simple dial on the center stack, the Power Wagon would just spin its loose wheels instead of making it up imbalanced rocky trails or sandy paths with the power of the planted ones, as an unlocked differential would send all power to the wheel that offers no resistance. 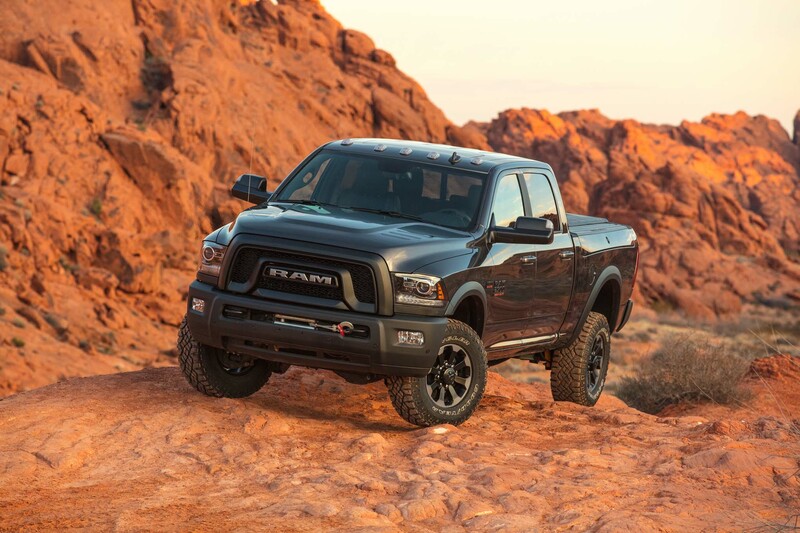 Sitting between the axles is the second-to-last key ingredient in the Power Wagon formula, the Borg-Warner BW 44-47 manual transfer case, which is operated the old fashioned way with a lever in the floor. 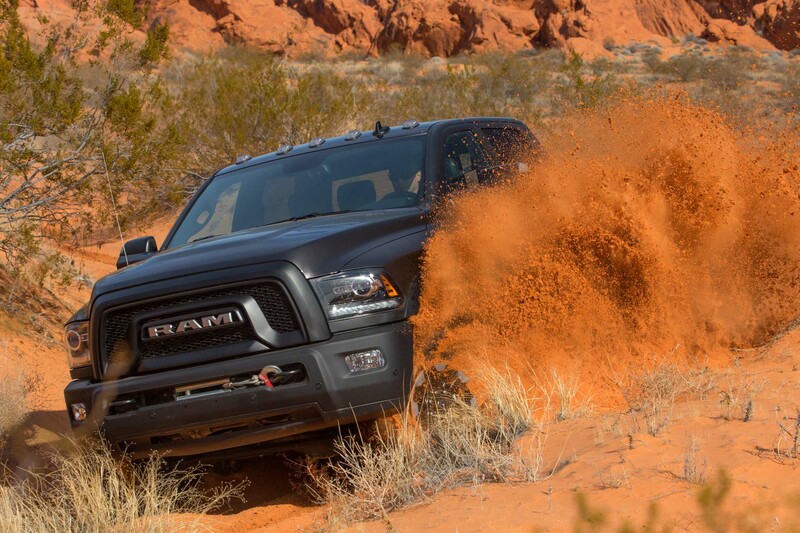 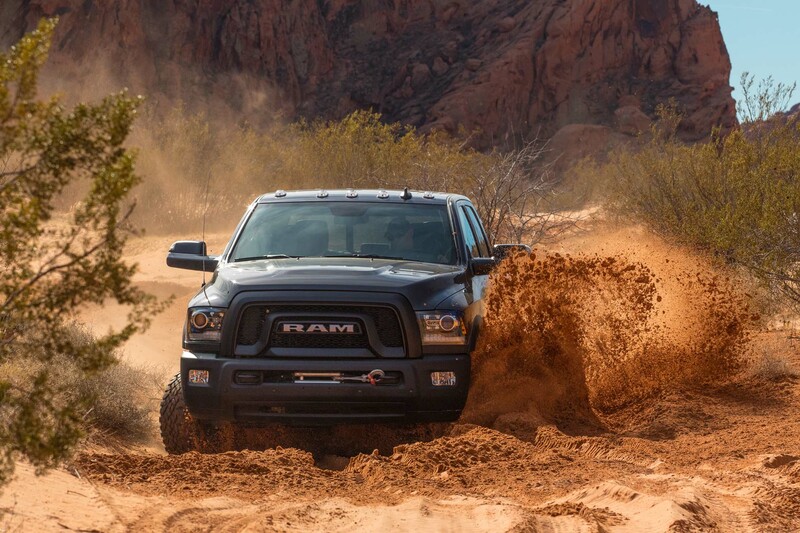 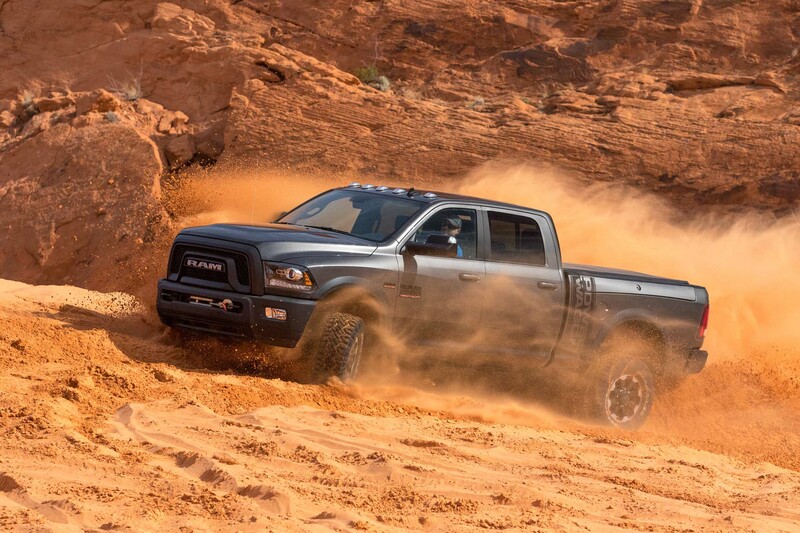 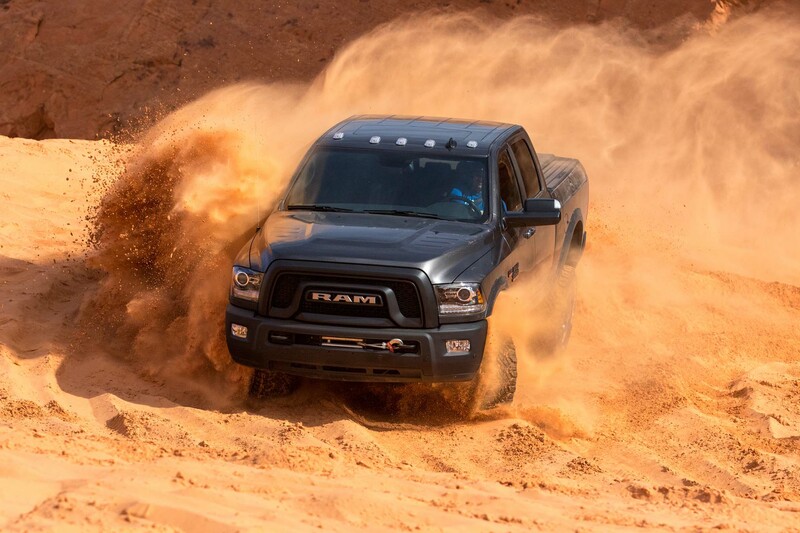 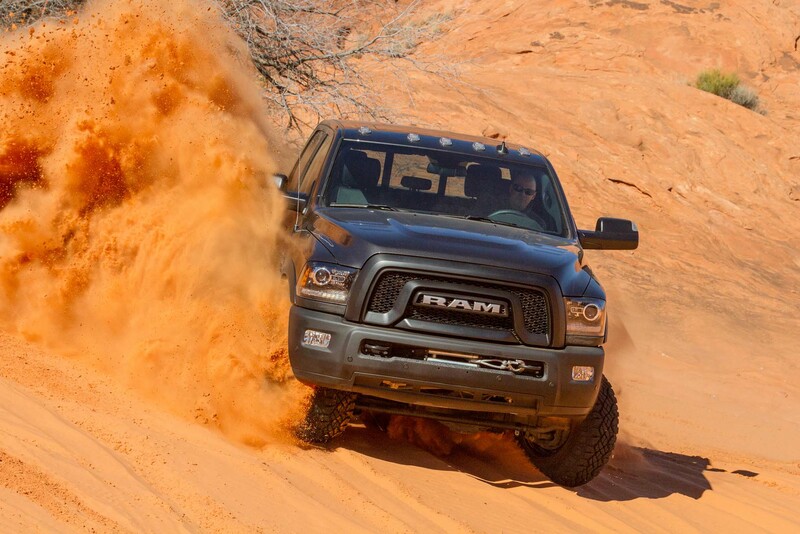 In addition to switching modes between 2WD, 4HI, and 4LO, the transfer case works with the six-speed automatic and 6.4-liter Hemi V-8 to enable the Power Wagon’s Hill-descent control (HDC) system. 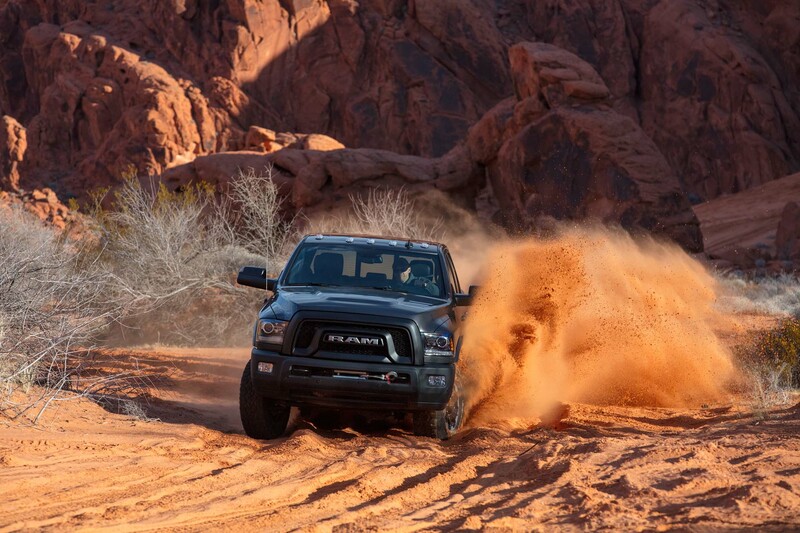 HDC works only in 4LO and is controlled via the shift buttons on the gearshift lever, each press adding or subtracting 0.6 mph of speed. 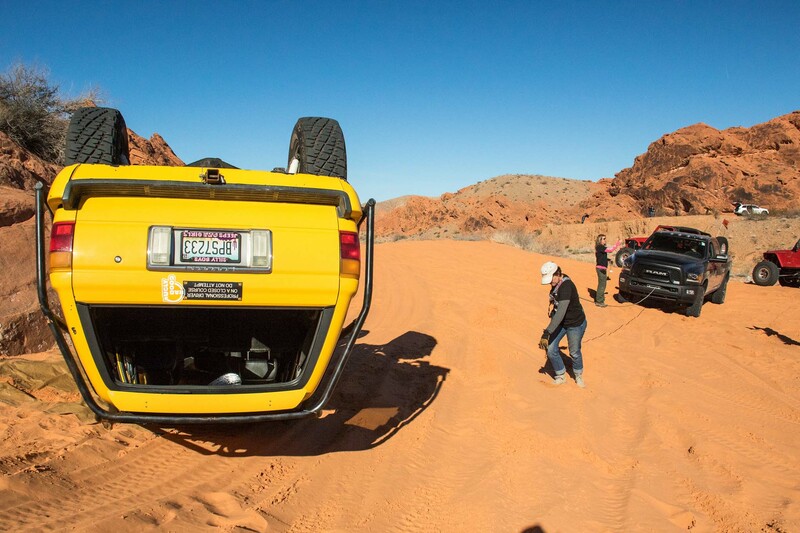 It worked exactly as promised when it was time to head down a steep hill and never made us feel like gravity was about to take matters into its own hands. 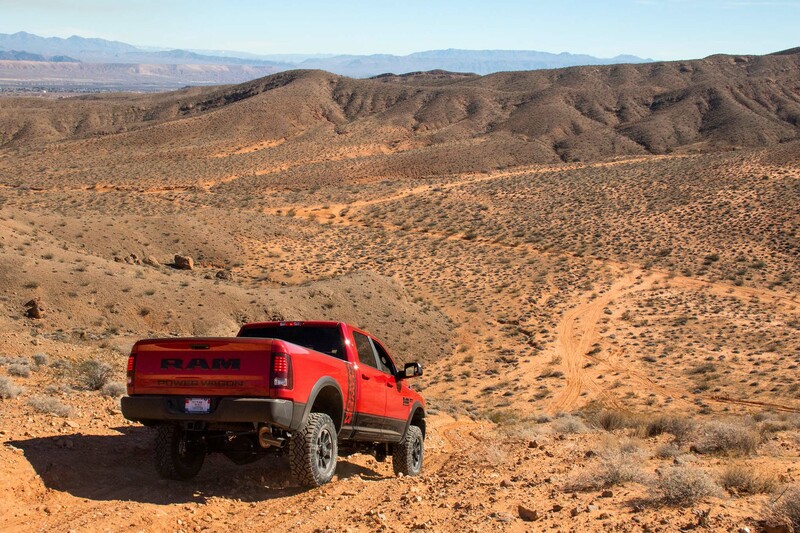 The experience was similarly comfortable on the way up the hill, with the eight-cylinder’s plentiful low-end torque — output peaks at 410 hp and 429 lb-ft of torque, more than enough for road duty — keeping things moving steady as we climbed up the steep, sandy incline. 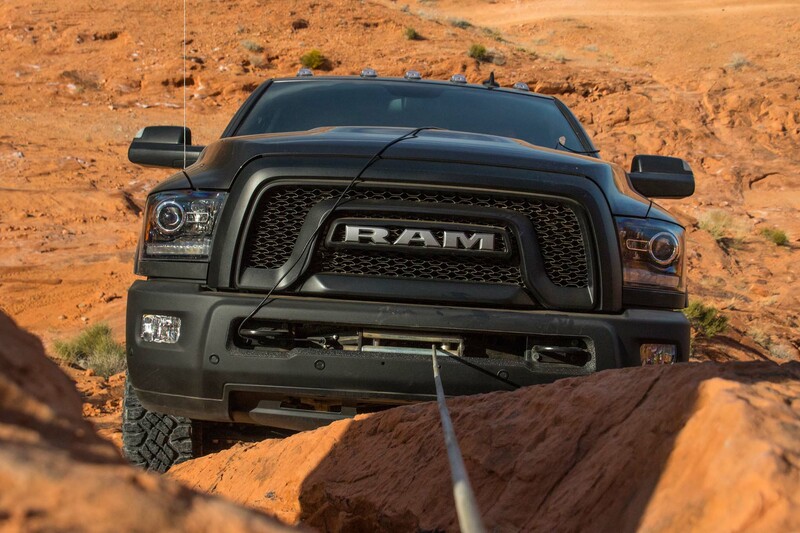 Last but certainly not least is the integrated Warn winch. 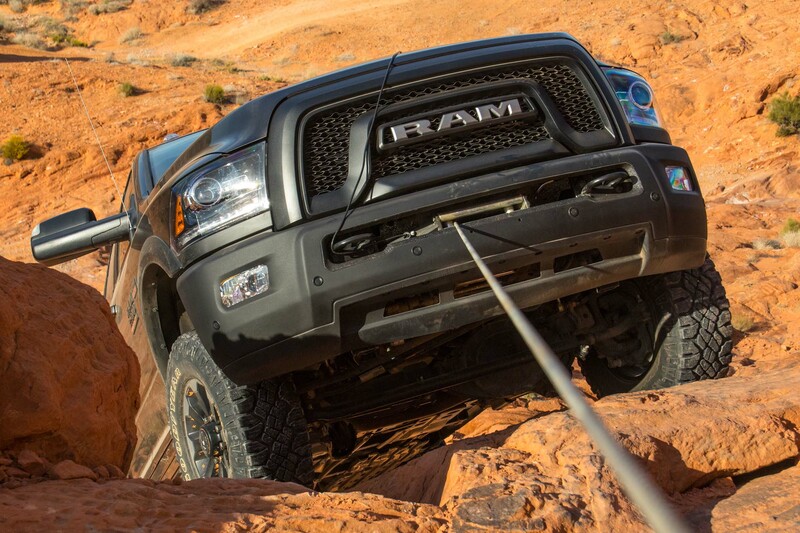 Rated to pull 12,000 pounds, fitted with a 125-foot cable, and bolted directly to the frame, the Power Wagon’s winch will surely prove to be a useful tool for any frequent off-roader. 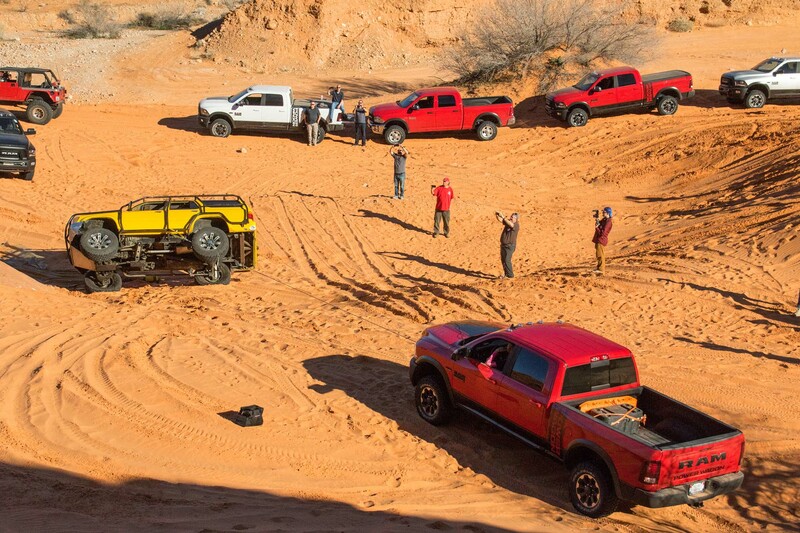 Given the Power Wagon’s capabilities, it will most likely be used to rescue another wheeler, as was demonstrated to us with the aid of an exo-cage-equipped Toyota 4Runner. 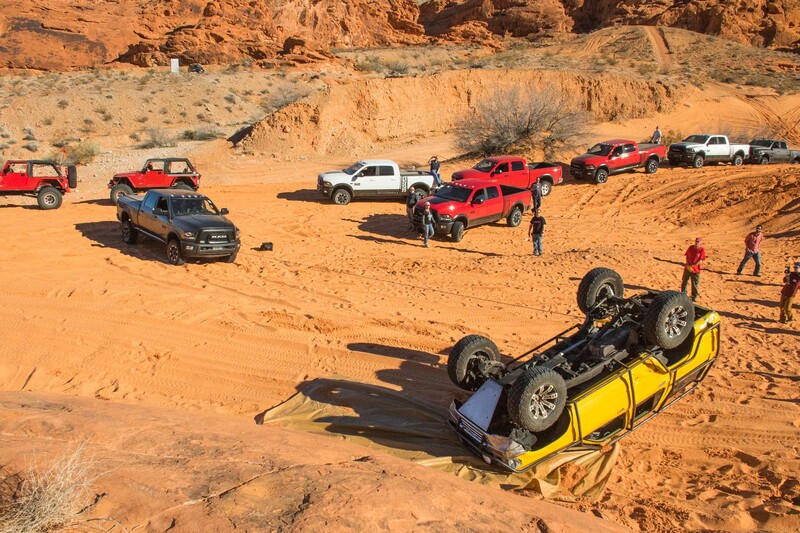 There’s always the chance you’ll turn a wheel wrong and will need to pull yourself out using a tree or another rig as an anchor. 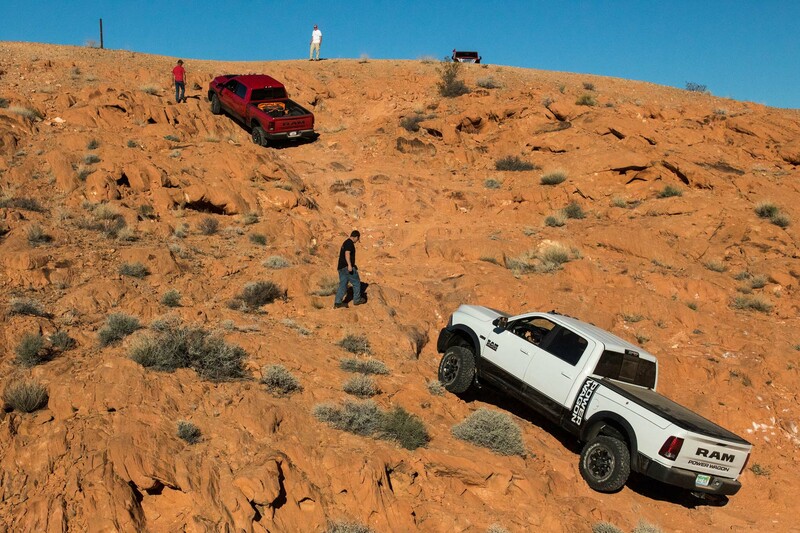 Getting a Power Wagon stuck may be no easy feat, but where there’s a will, there’s a way. 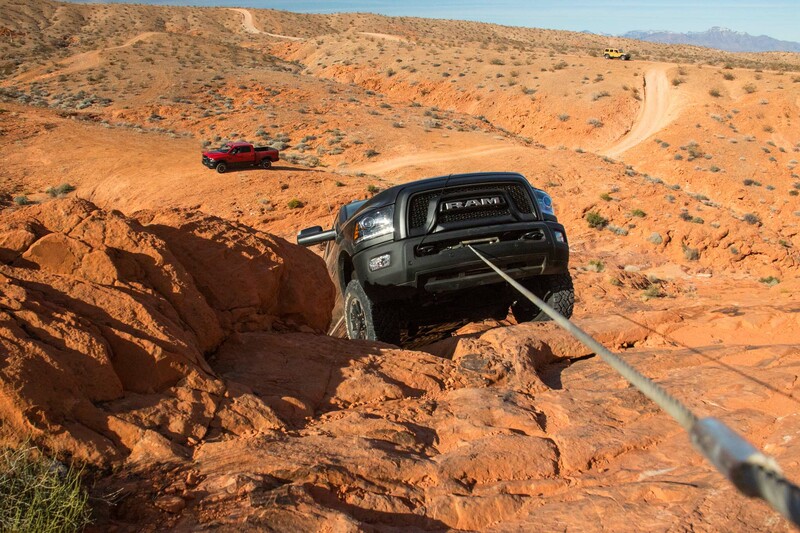 The only downside to the winch? 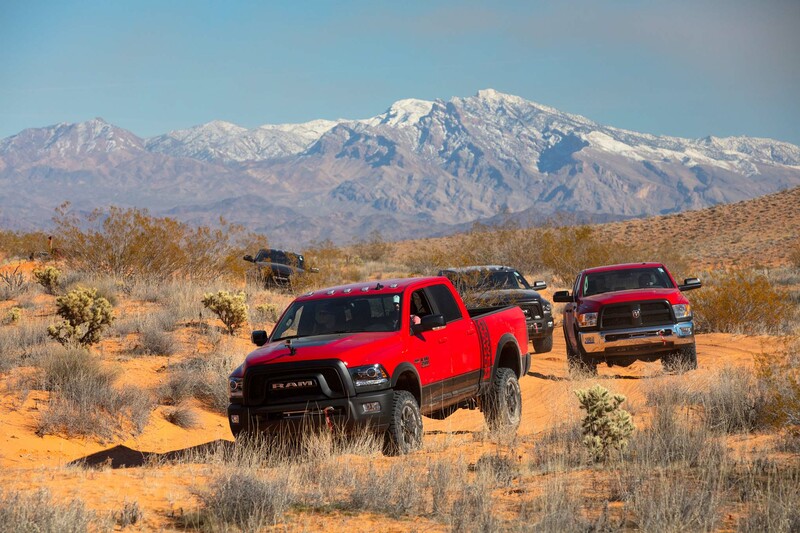 It’s part of the reason why the Power Wagon is not available with the 6.7-liter Cummins diesel I-6. 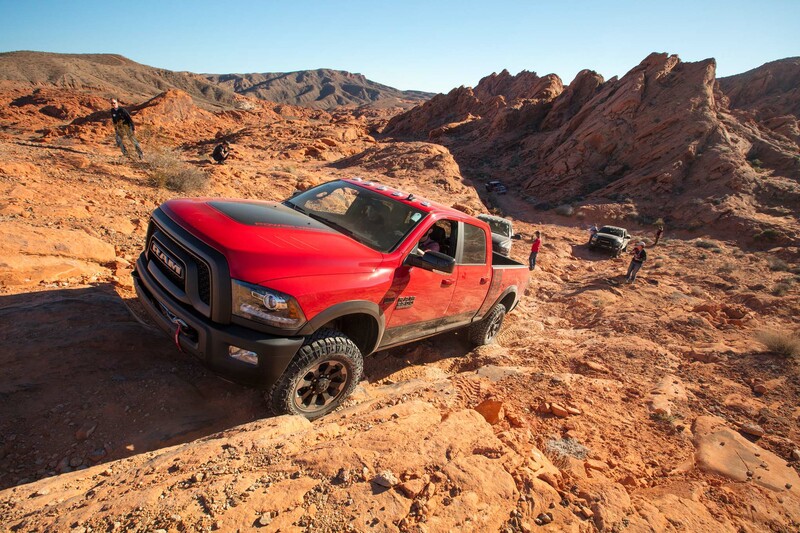 There simply isn’t enough space behind the bumper for the diesel and its hardware with the winch in place. 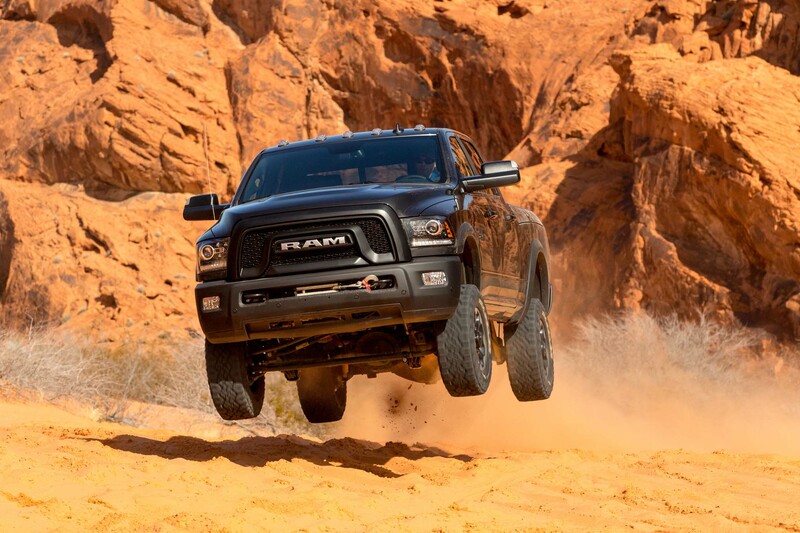 Alas. 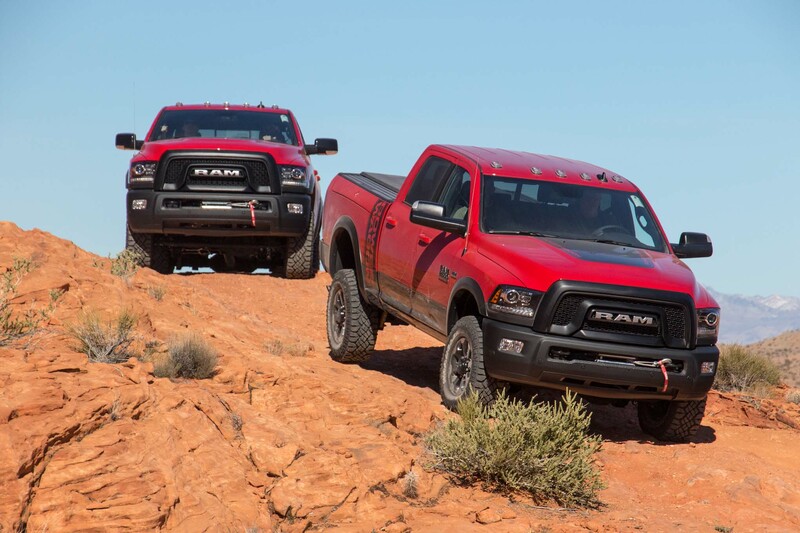 All of this capability has been on offer since the current generation Power Wagon arrived in 2014 as all changes for 2017 are purely cosmetic. 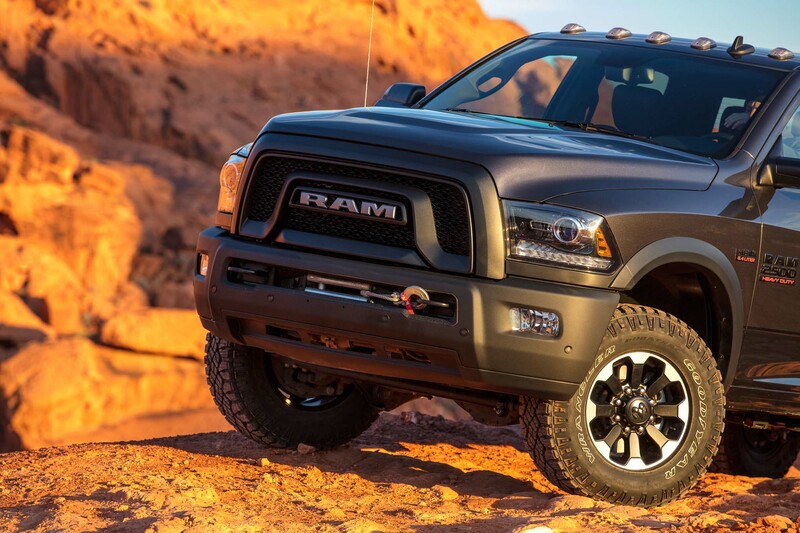 On the outside, these consist of a new grille that imitates the Ram 1500 Rebel’s, powdercoated front and rear bumpers, 1979 Dodge Macho Power Wagon-inspired side decals, and a 324-point font “Ram” badge on the tailgate accompanied by a large “Power Wagon” graphic. 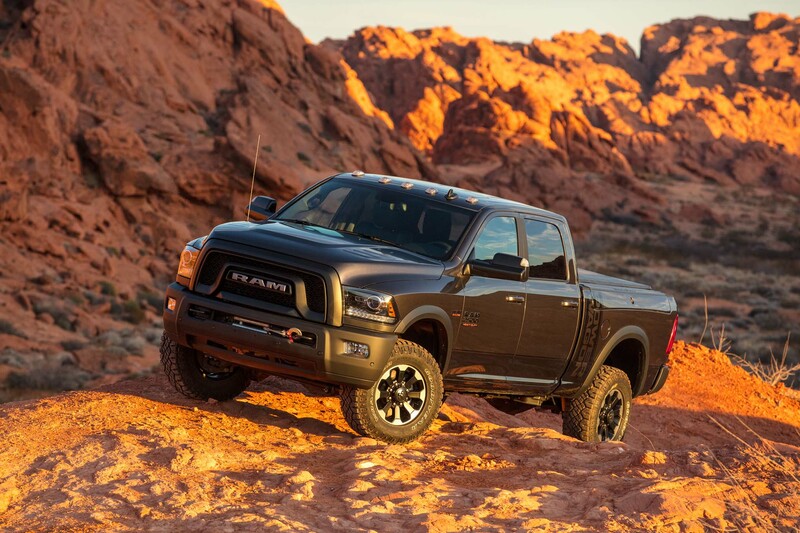 Inside, the seats receive Power Wagon logos on the bolsters and headrests and some different color combinations. 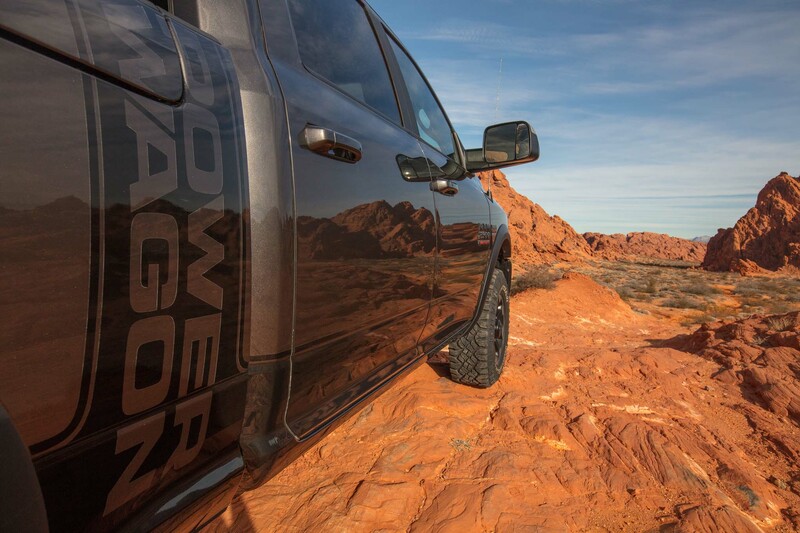 It’s a mild freshening but give credit where credit is due, the 2017 Power Wagon does look significantly cooler than the 2014-2016 variant. 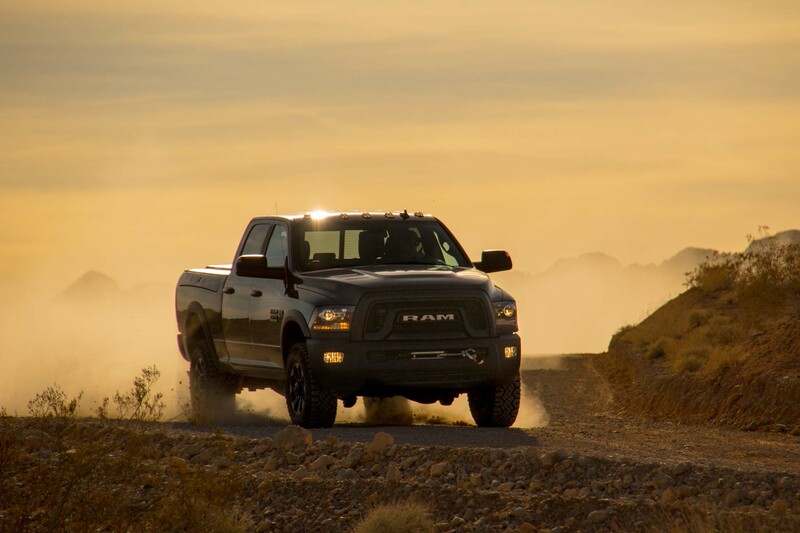 Given the myriad updates to the Power Wagon, you might be asking: “What’s the catch?” Well, thanks to advances in modern technology, there really isn’t one except the financial one. 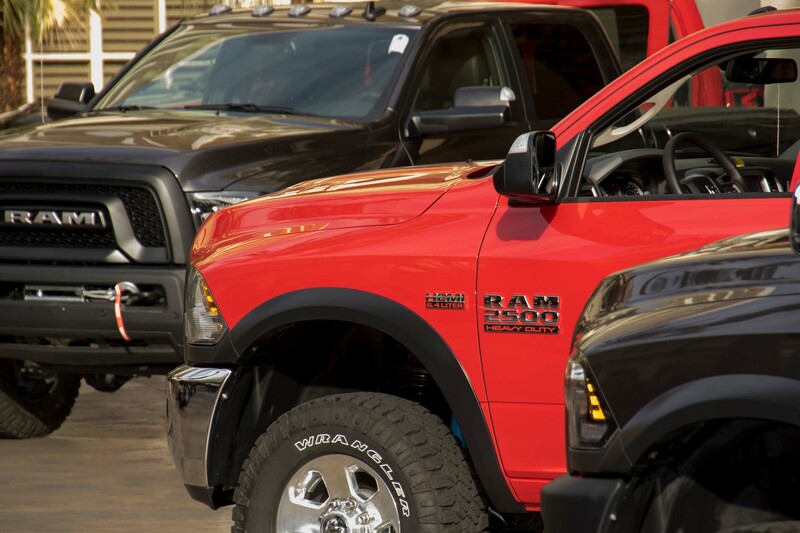 Today’s trucks are more comfortable and luxurious than ever before, so no creature comforts have to be sacrificed in the name of capability, but they also happen to be fairly expensive. 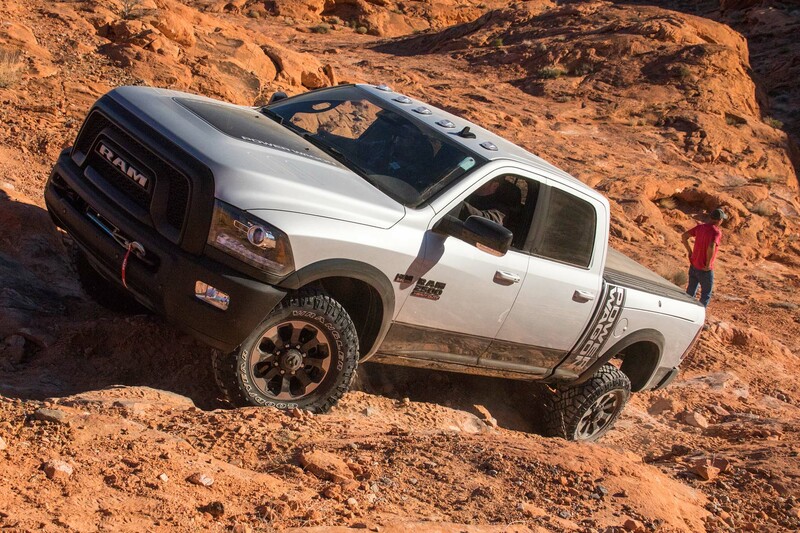 The 2017 Ram Power Wagon starts at $53,015. 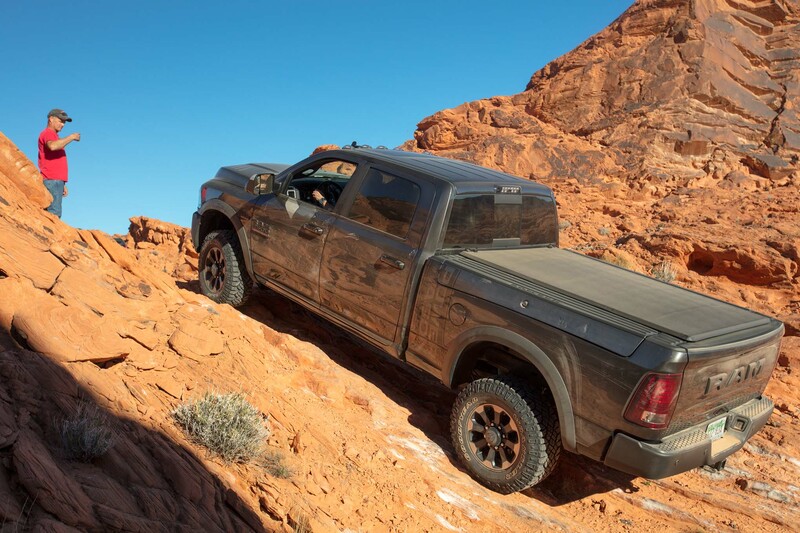 With the $4,995 “Leather and Luxury Group” option checked, the Power Wagon is no less luxurious than a Ram 2500 Laramie, receiving leather seats, a nine-speaker Alpine stereo, 8.4-inch Uconnect screen, heated front seats, and more. 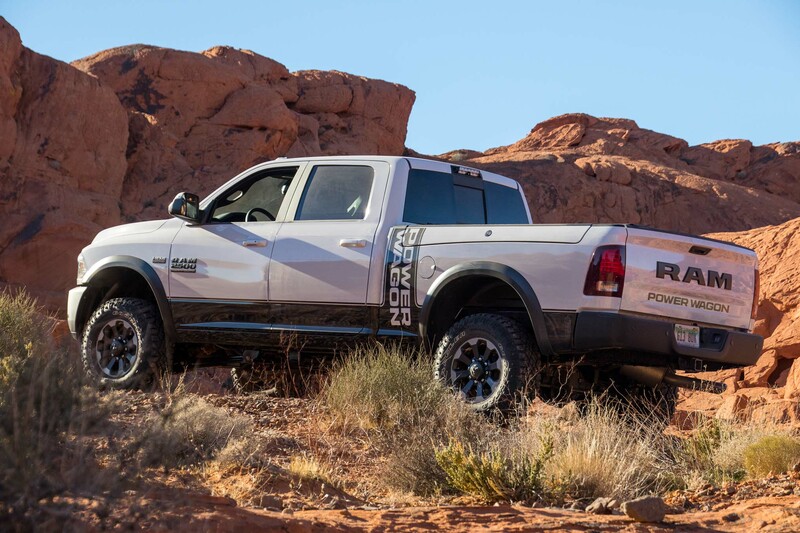 The Power Wagon can (and should) also be had with the Rambox for an extra $1,295, although with all the optional goods tacked on you’re looking at close to a $60,000 truck. 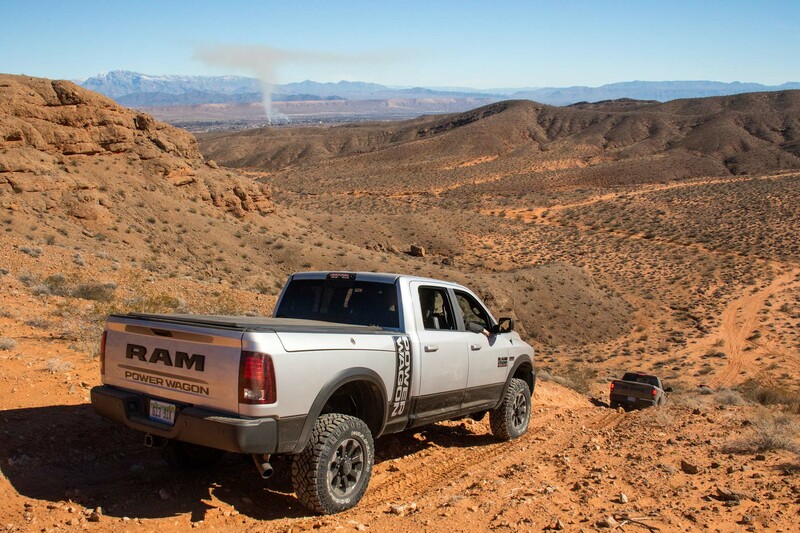 Those interested in just the off-road bits can order a Ram 2500 Tradesman 4×4 with the $7,950 “Power Wagon Package,” so long as they select the crew cab and short box — the only configuration the Power Wagon is offered in. 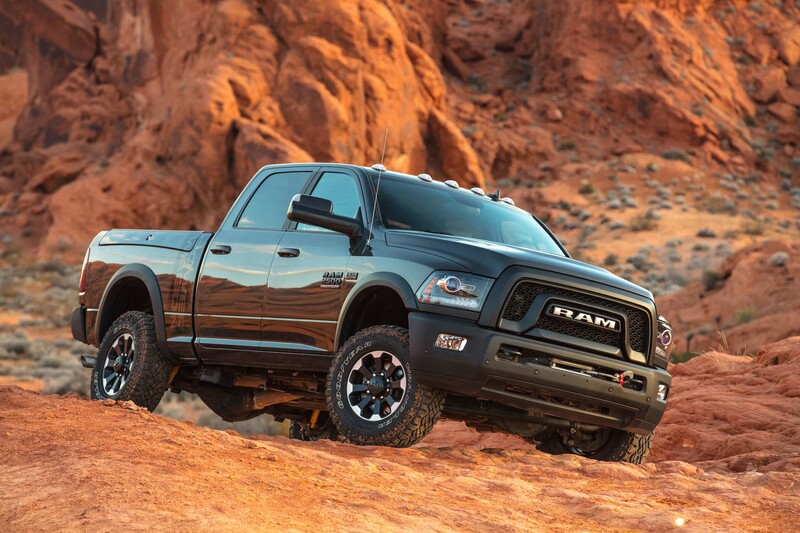 The package also adds another $500 for the 6.4-liter engine option, bringing the Tradesman Power Wagon’s tag to $48,315 — still a bit pricey, but a decent discount over the full blown Power Wagon. 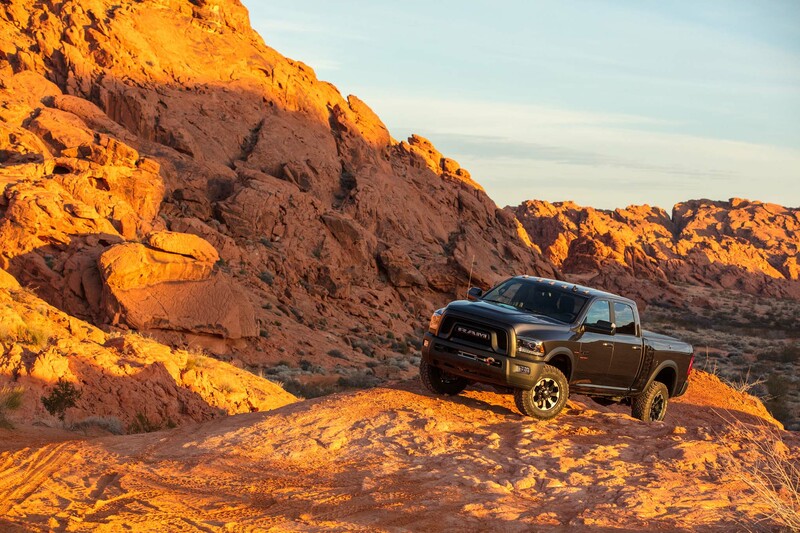 Regardless of how you decide to option up your Power Wagon, you’ll get a truck that you’ll be more than happy to use as weekday conveyance while you plan out your next off-road adventure knowing that you have one of the most capable factory rock-crawlers on the market. 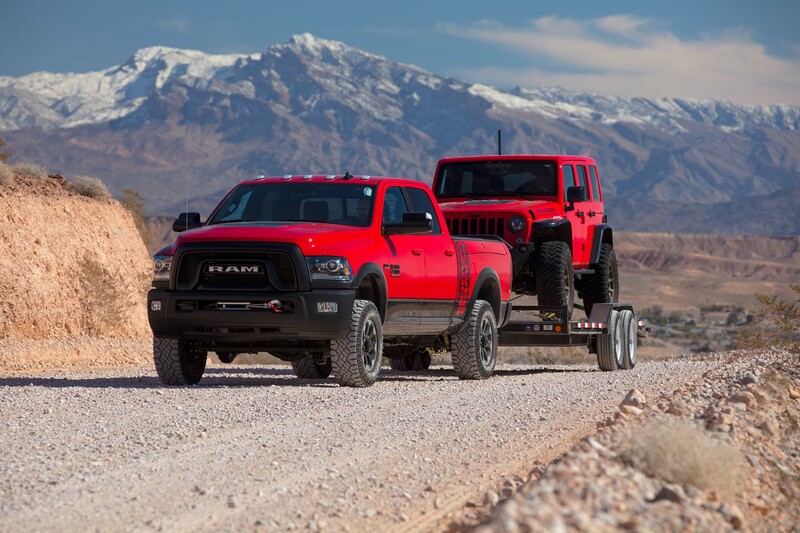 At least until the Jeep Wrangler pickup arrives.